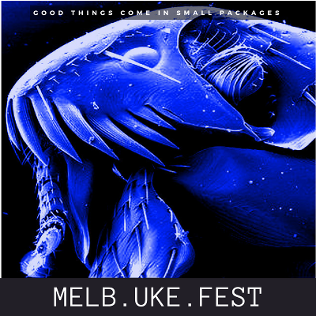 The Melbourne Ukulele Festival is the awesomest uke fest in the universe! 1st international uke fest in Oz, kickin’ it since 2010. Local, interstate and international guests have graced our stages in Melbourne’s north; such as Bar 303, Open Studio, Northcote Town Hall and Uniting Church, Thornbury Theatre, Swamplands and Wesley Anne . 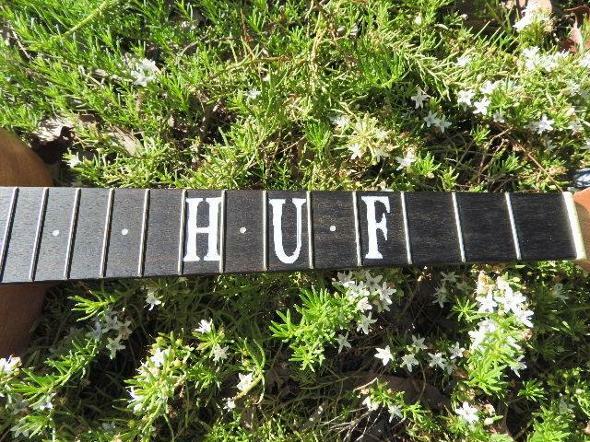 The MUF is a NFP labour of love by members of the Melbourne Ukulele Kollective, first uke group in Oz, est. 2004. Held at the picturesque Hinterland township of Kenilworth from Thursday 11th to Sunday 14th of April 2019 inclusive. The festival is staged at the local Showgrounds, with powered and unpowered caravan, RV and tent campsites, "glam" tenting with Tent City Hire (visit their website for bookings), a wide range of ukulele merchandise, great food and coffee vendors, and international and Australian artists offering four days of workshops, concerts, jams, and open-mic sessions daily at the Kenilworth Hotel. Click onto the festival website www.sunshinecoastukulelefest.com for more festival details and ticket information. See you there! Join us for the Autumn Ukulele Festival (Yuukalieli Festawel) here on Norfolk Island in April 2018. There are only 60 Uke player spots available so be sure to reserve your place early. In the vast South Pacific Ocean, Norfolk Island is identified by its natural beauty, majestic Norfolk Pines along with unique Polynesian blend of culture, language, music and history. Uke players and musicians of all levels of ability are invited to attend and join with the Norfolk musicians. The “cultural mix" of Aussies, Kiwis and Maori singers will be given an added dimension of the Bounty Pitcairn descendants with their unique culture, Norfolk language songs and Island Dancers. During the Festival players will enjoy playing at scenic locations, a boat special on the Lagoon, historical area of the Penal settlements and on Norfolk’s only roundabout. Besides interesting workshops and Island rhythms, invitations will be given to perform at the Hospital, White Oaks, School, Churches and the local markets. Also welcome & farewell dinners, a famous “Norfolk fish-fry”, Island Breakfast at Beautiful Anson Bay, a “lunch & jam”, sing-a-longs; each country will also be invited to show their talents at the Ukulele Showcase night. 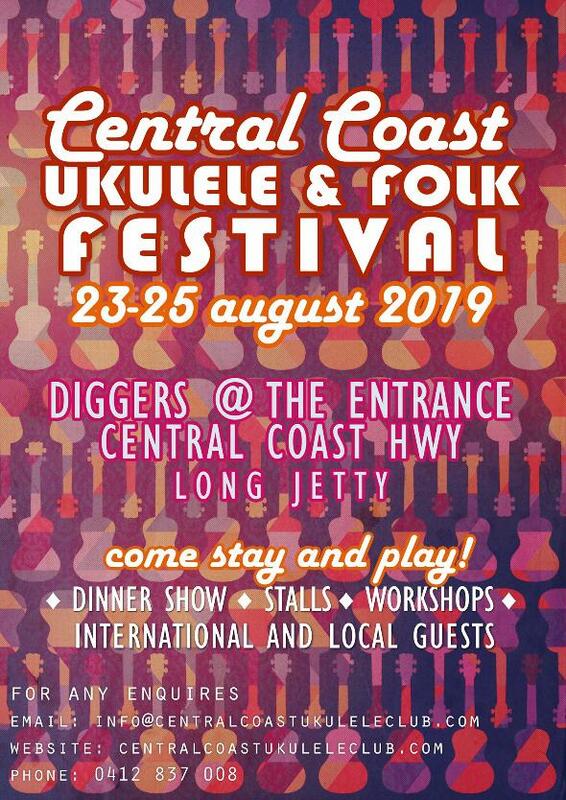 We hope you will enjoy our Norfolk hospitality and trust this will be a memorable and rewarding, fun filled Norfolk Island Ukulele Festival. NiueKulele is a four day ukulele music extravaganza on Niue Island. This event is a celebration not to be missed! Visit www.niuekulele.com for more information or contact us. A weekend of free music and workshops for the ukulele held at the Mountview Wines vineyards generously hosted by Dave and Angela McGrath. Home of the "Bloody Good Red", Mountview Wines enjoys spectacular views and stands on the site of the original Mountview vineyards established in 1921. The range of wines produced at this boutique winery is said to be some of the district's finest. Sponsored by Agnes Water Social Ukulele Musicians -a well established Ukulele club in Agnes Water & 1770 of Queensland, Australia. Agnes Water & 1770 is renowned for beautiful scenery, beaches, sunsets, national parks, walking trails, surfing, fishing & voted the friendliest community anywhere. Deniliquin (Deni) Ukulele Muster meets in the Deniliquin Club in George Street once a week during school term to play Uke. Players of all skill level are welcome. Group is lead by Chris Bodey. Message via Facebook page for group times. Grab your uke, picnic basket, rug and join us. Free entry.